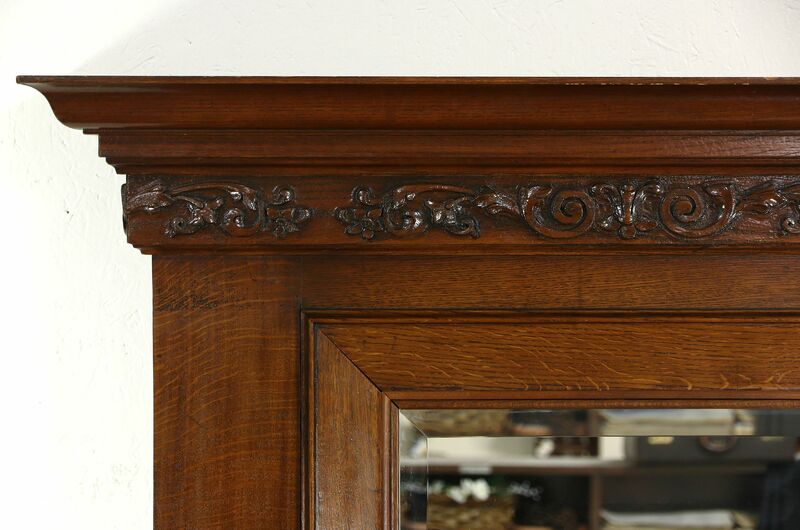 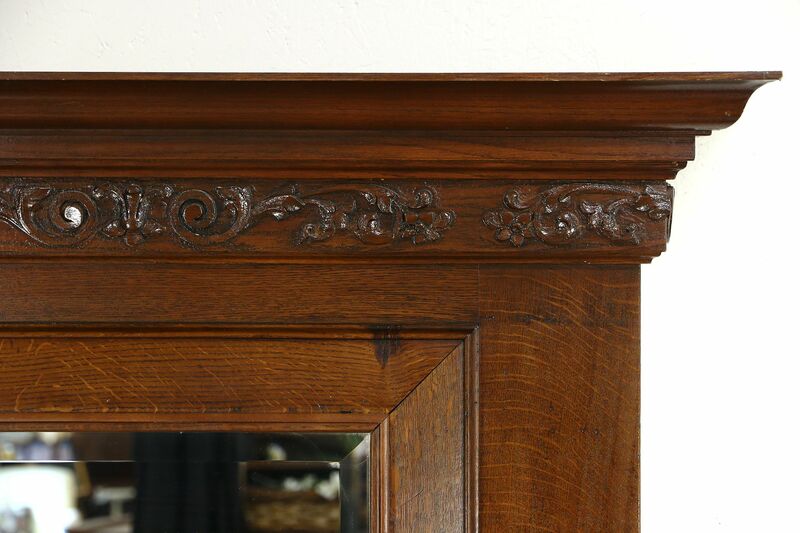 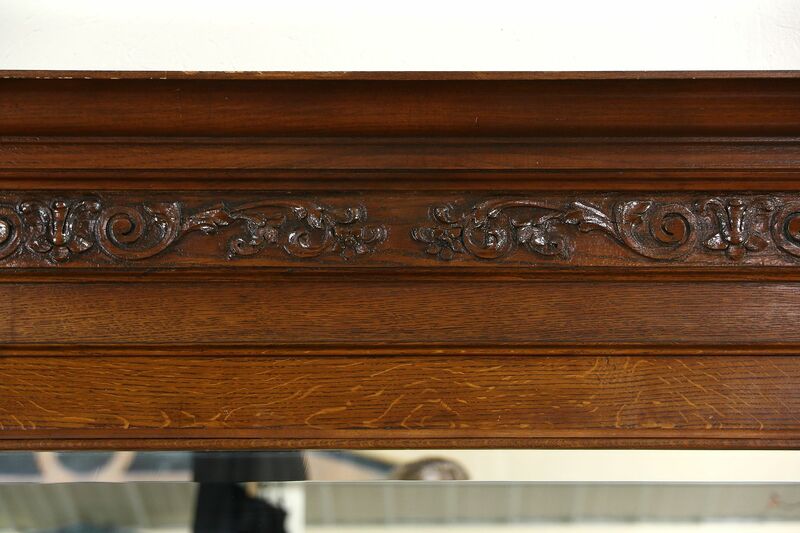 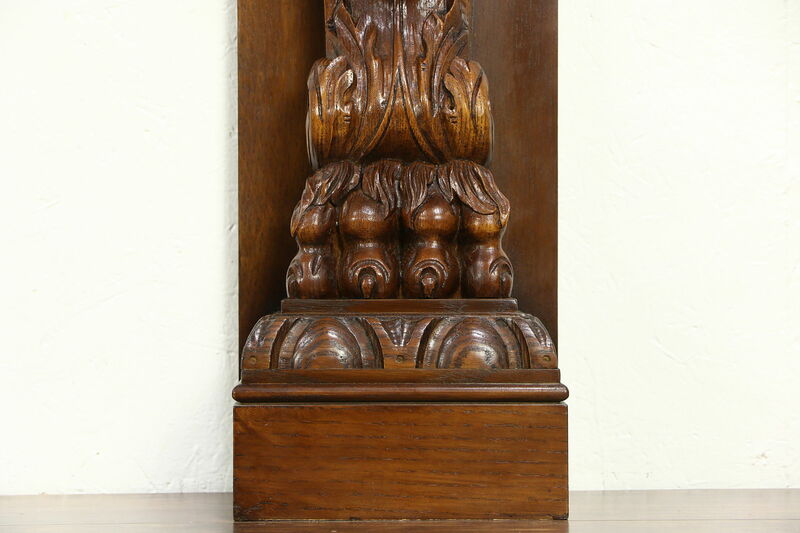 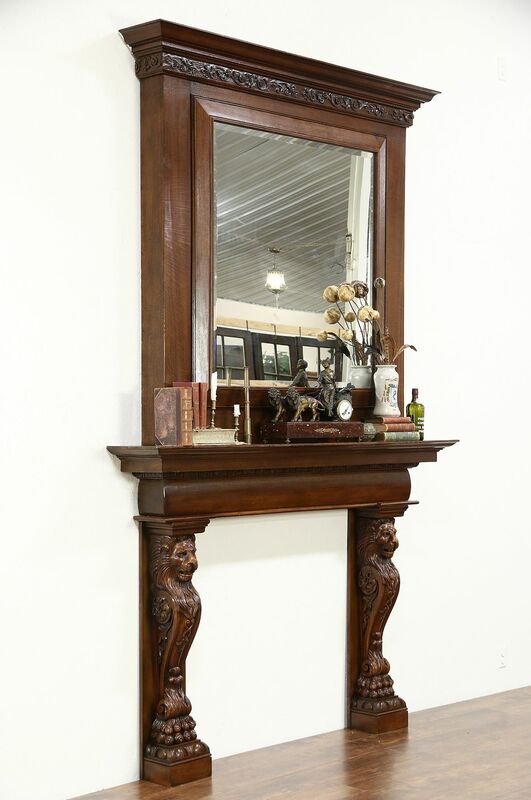 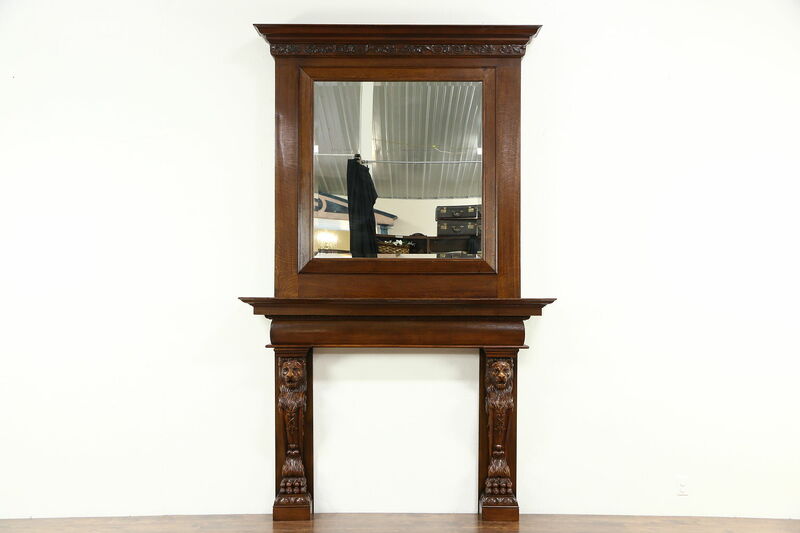 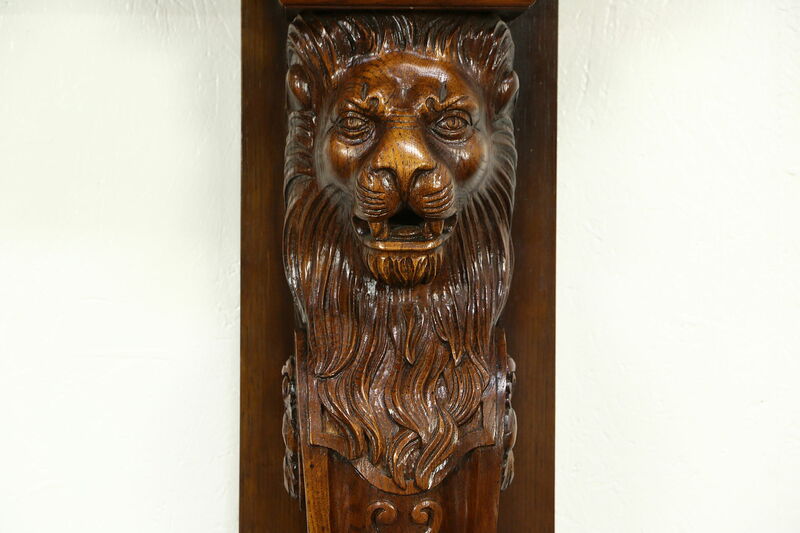 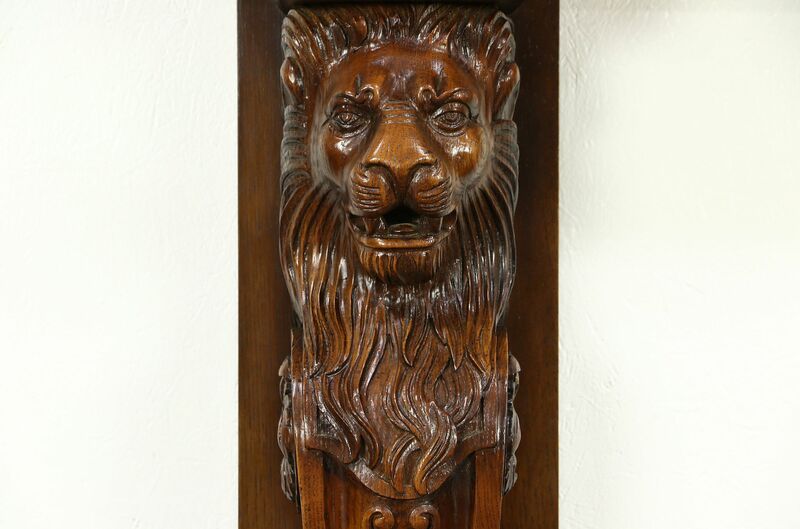 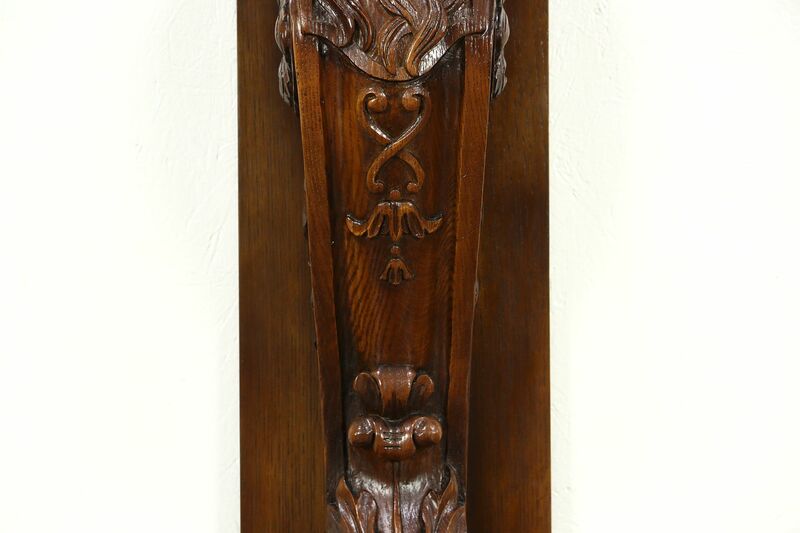 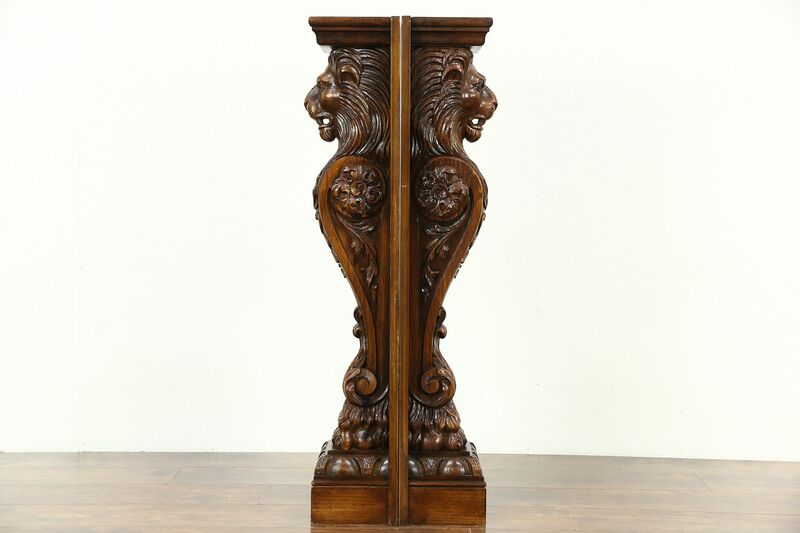 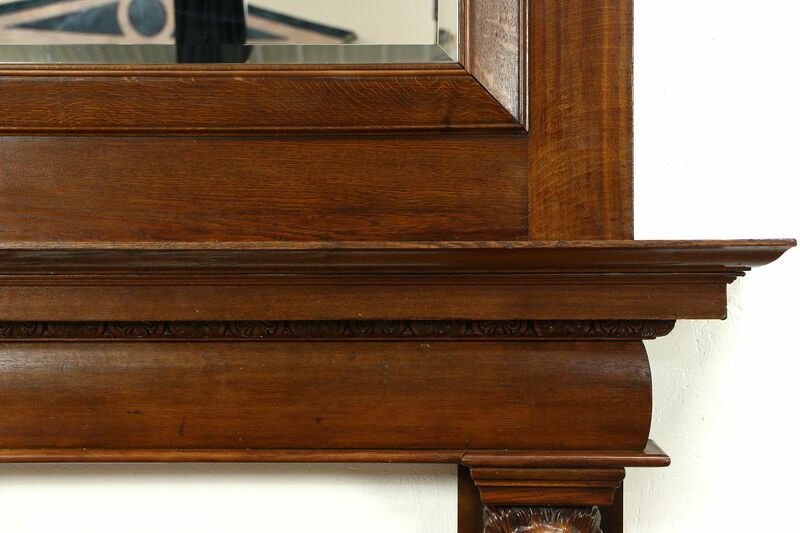 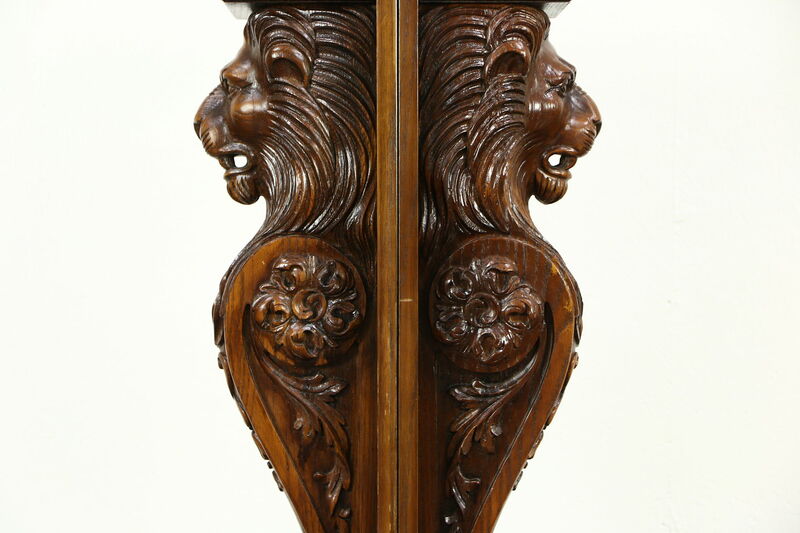 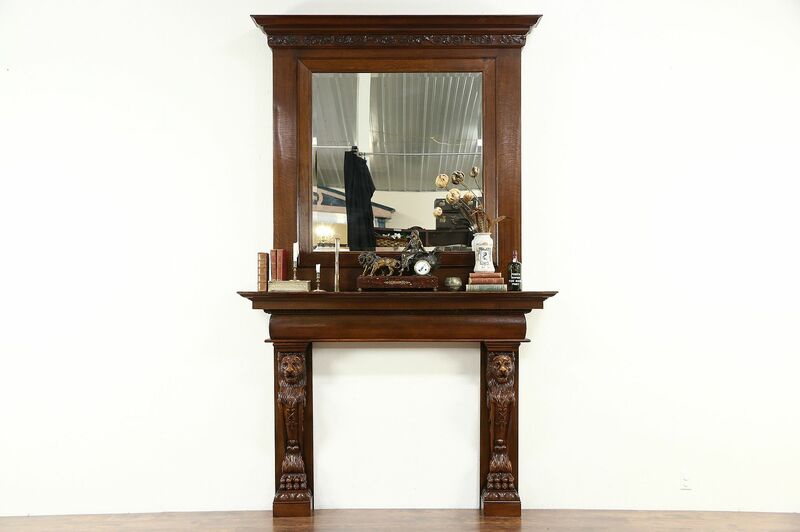 A spectacular solid oak fireplace mantel and surround with beveled mirror from the 1890's has hand carved lion heads and paws. 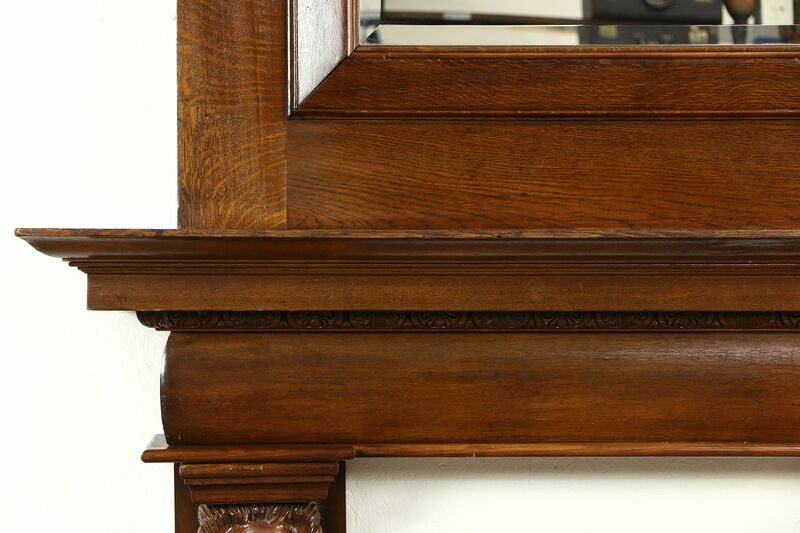 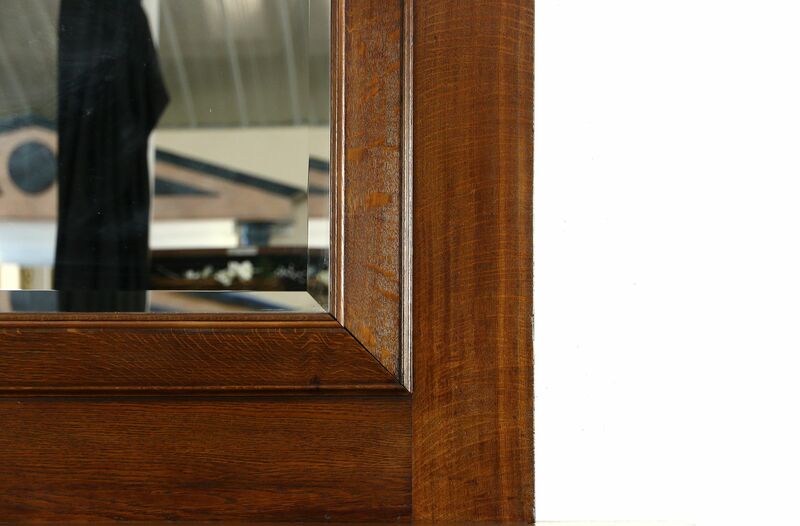 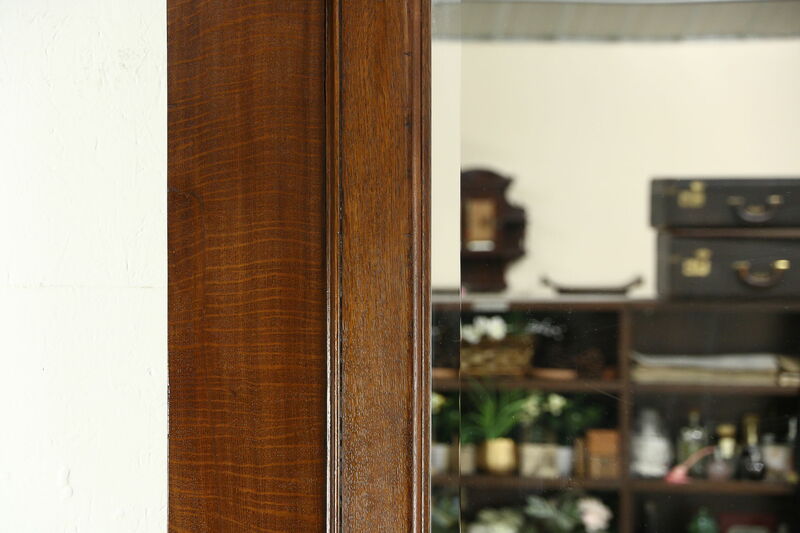 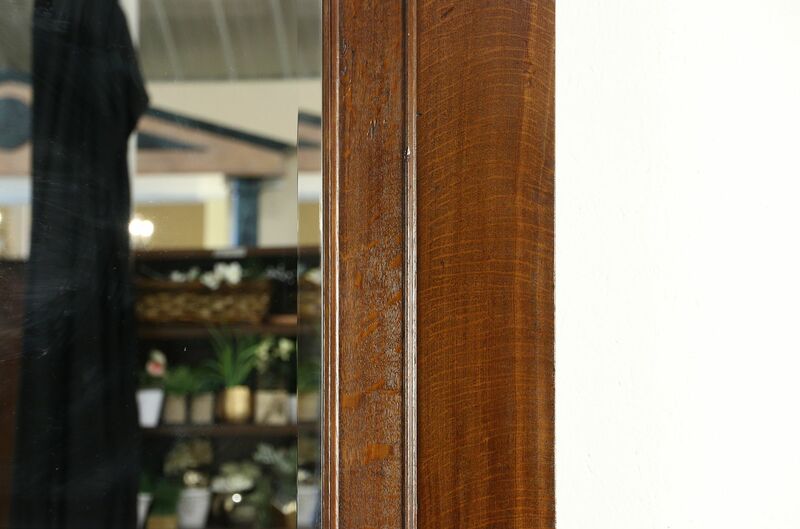 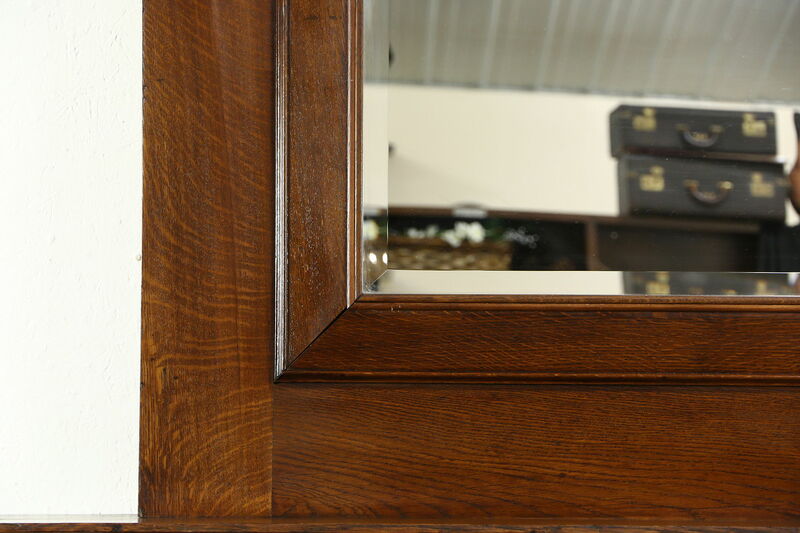 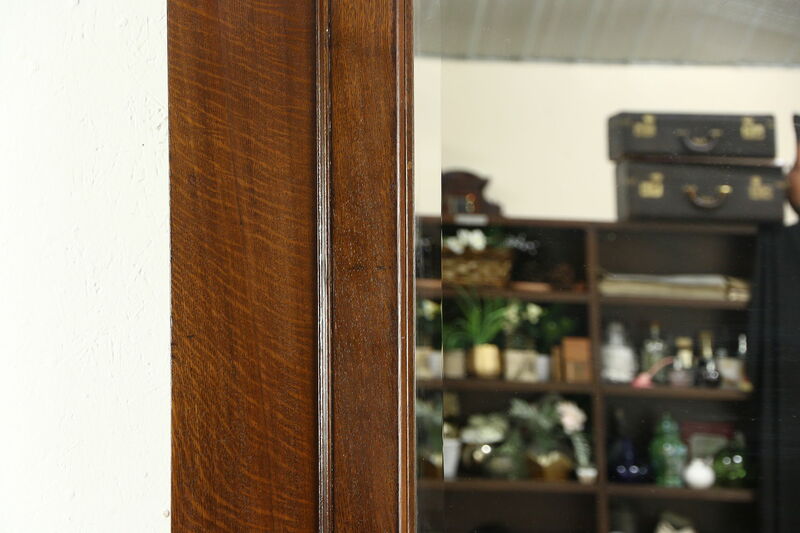 The finish is very well preserved with just enough mars and stains for a little antique character. 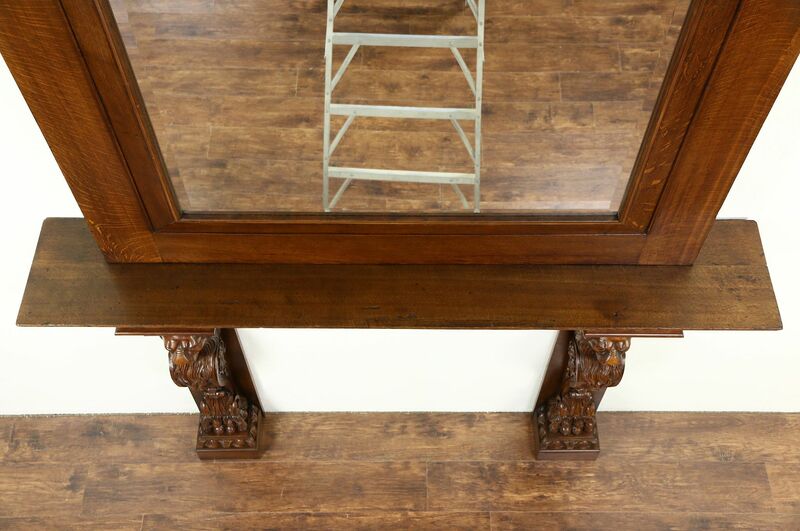 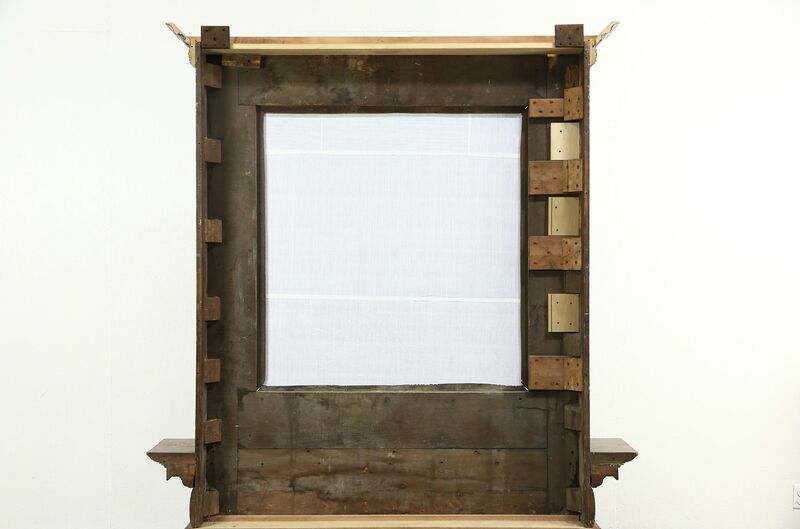 American made, this architectural salvage disassembles for easier transport. 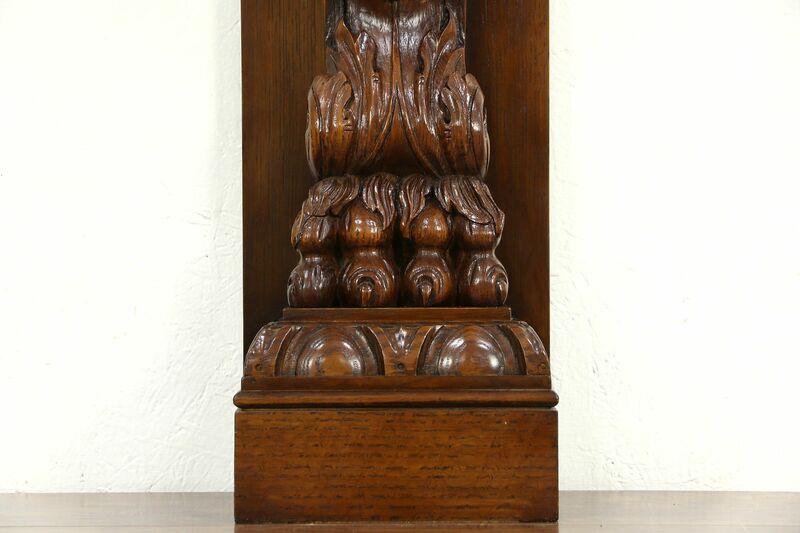 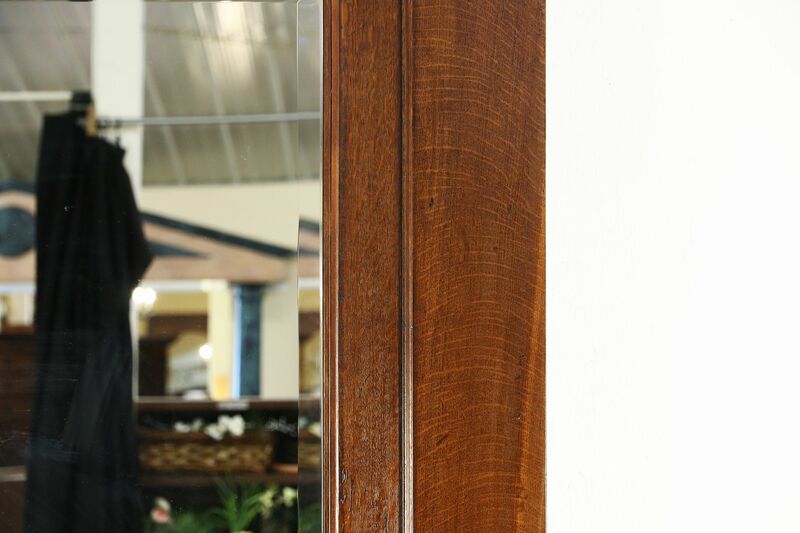 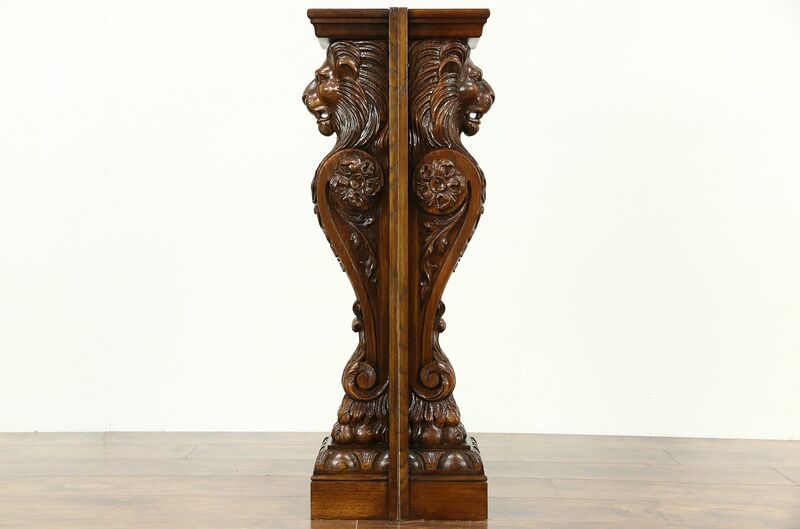 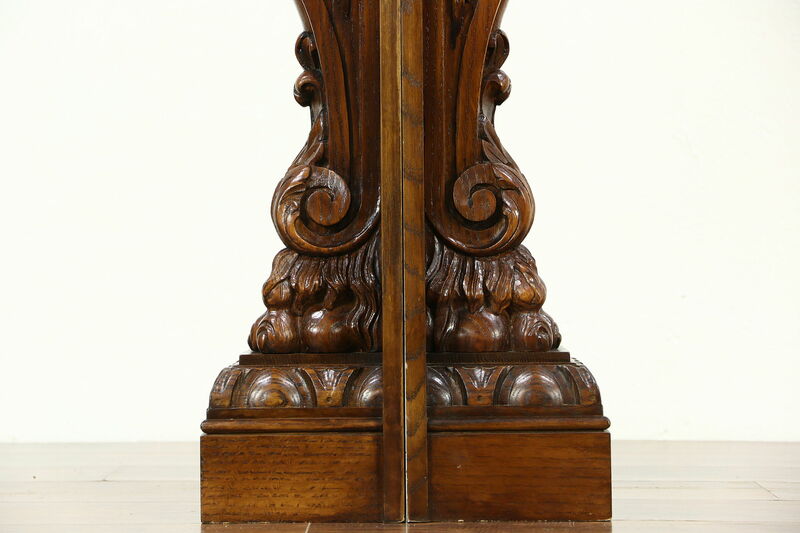 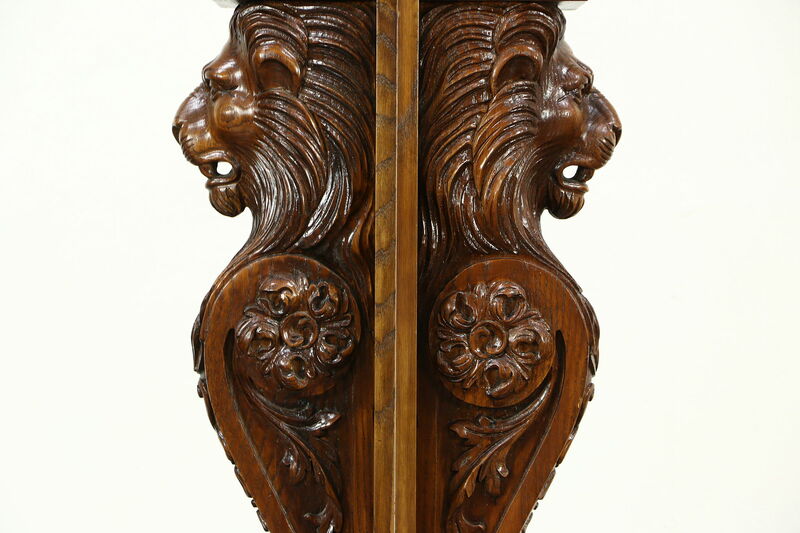 There are various restorations over the years on this heroic furniture. 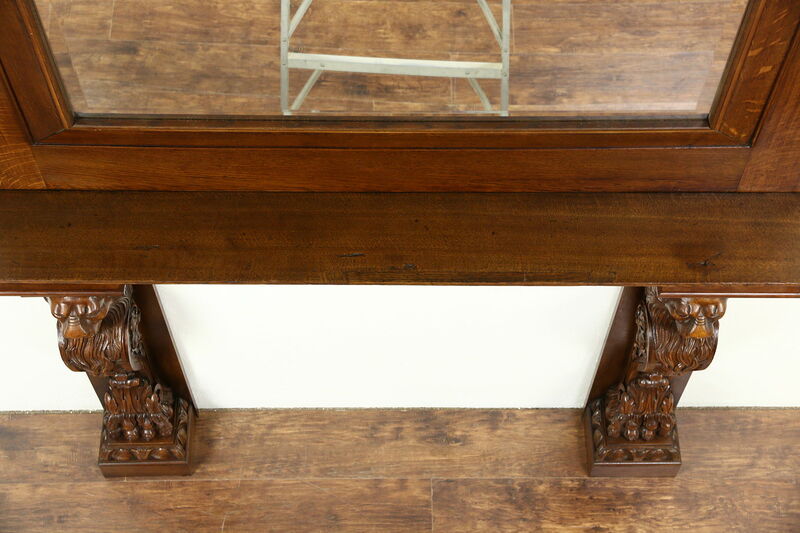 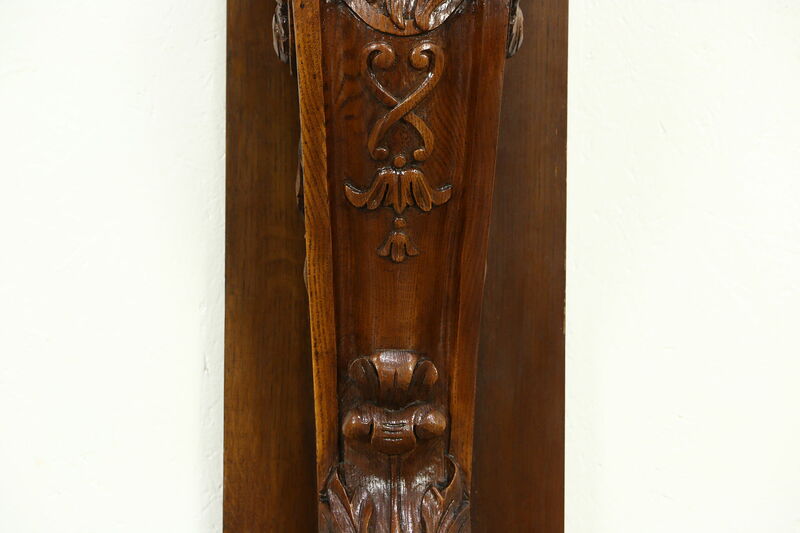 Measurements are 76" wide at the mantel shelve, 13" deep and 10' 1/2" tall. 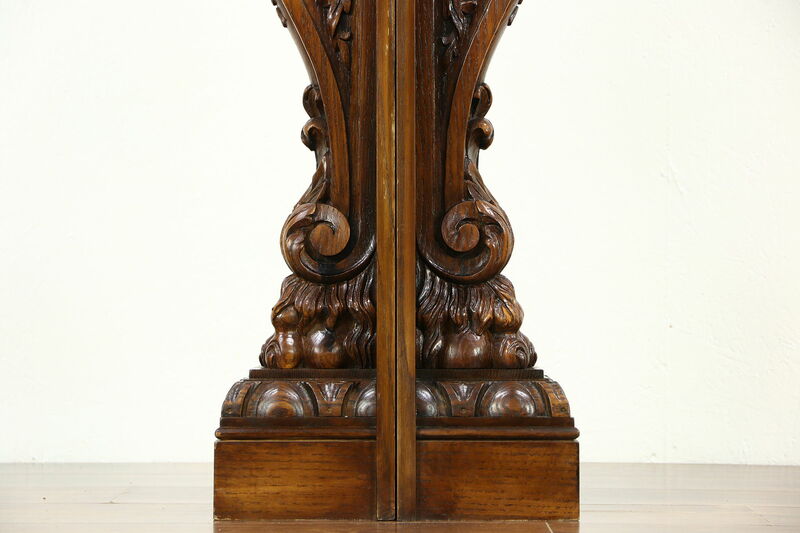 The fire opening is 43 1/2" wide, and 42" tall.